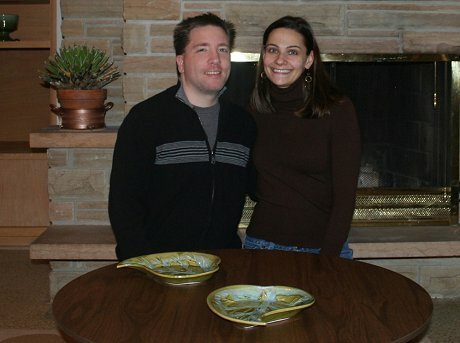 Home » Readers and their... » modern » Chris and Angela’s 1964 mid-century modern ranch – 18 photos! 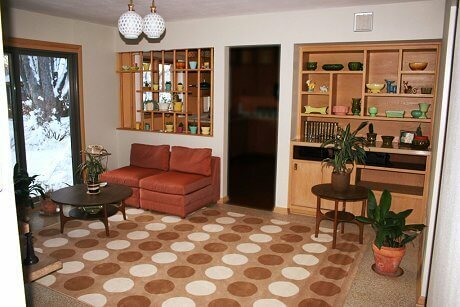 Chris and Angela’s 1964 mid-century modern ranch – 18 photos! Before I launch Chris, let me explain that when he originally wrote, the couple was concerned about the sunset tan bathroom — didn’t quite know what to do with it even though they are “designer types.” I pointed them to a photo of one of my bathrooms, in which I used Home Depot “rose beige” tiles, and suggested something akin to the mint green, aqua and brown combination I used for wallpaper, linens and accessories. 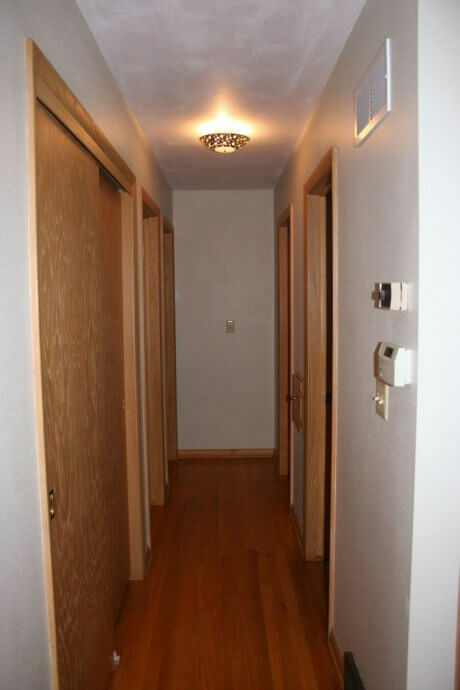 You can see how they picked up and ran with the suggestion in their bathroom design experiment to date. 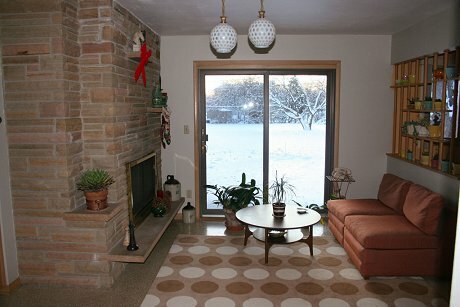 My wife and I were lucky enough to just purchase this beautiful 1964 home. Our house is an original one of a kind. The original owners we bought the house from designed the floor plan and many of the details were constructed by the owner himself. Beautiful features, fixtures, stonework. We are not finished decorating any of this yet, but had to share now since it will be a while until it’s finished. 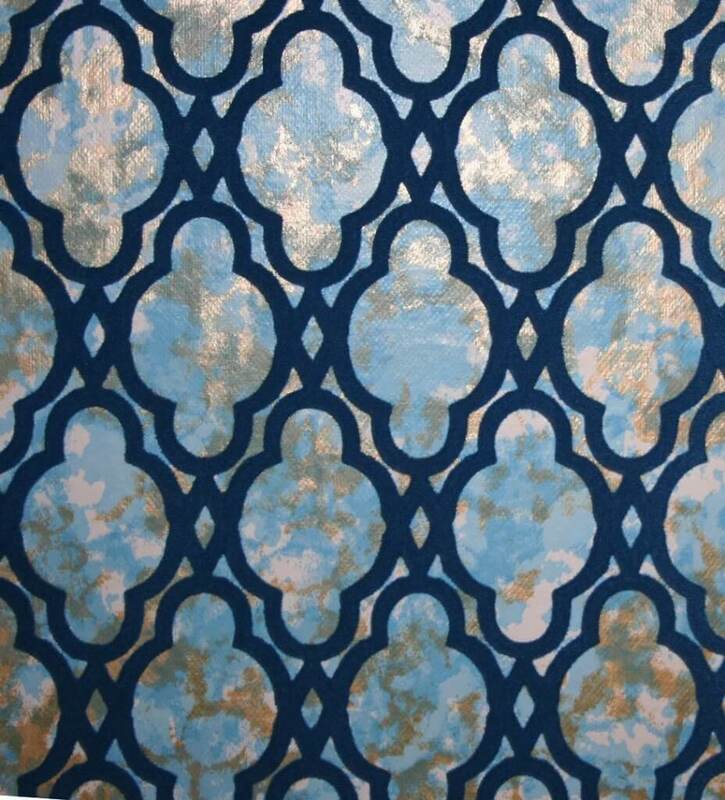 These are all just items we already had that we’re using until we find better suited ones, along with nice drapes. The chocolate & mint accessories in the bathroom will work once we find ones we like, thanks for the color tip! As you can see, right now we’re experimenting with chocolate, green and cyan. The bathroom is nearly as-new with hardly any wear (they used the similar but smaller blue bathroom which will be undergoing restoration shortly). 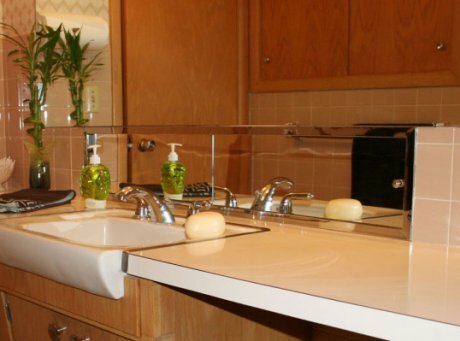 About the only non-original item is the faucet. 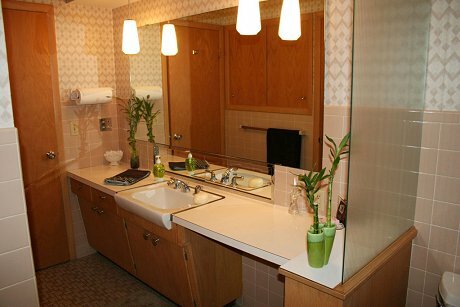 Note long sliding medicine cabinet under the mirror with an electrical outlet inside. Slanted cabinets. 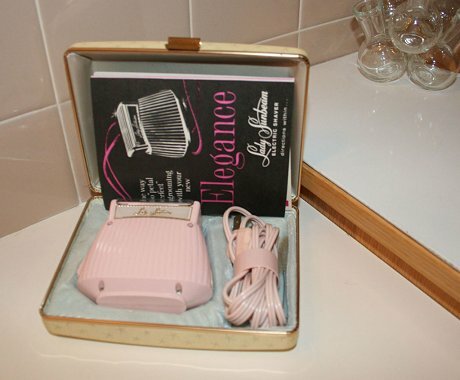 Also we have the NuTone 3-in-1 heater, light and fan. and I need to clean that floor grout. Pretty easy restoration, I’d say! 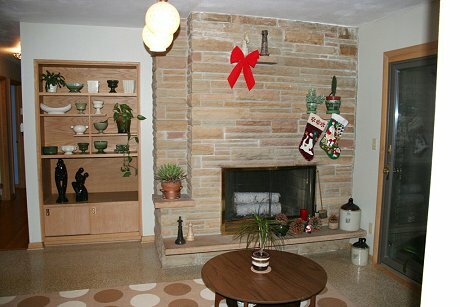 And our cozy fireplace room that we’ve accessorized temporarily with some Danish Modern influences. 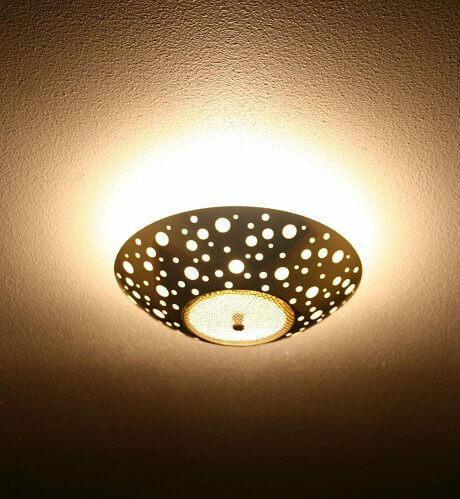 We love our dotted light fixtures here, too. NuTone built-in doorbell here, too. This room’s flooring is an interesting laminate that is clear with laminate chips in it that looks like pebbles in water. Unfortunately there is a lot of damage, so will need to be replaced eventually. 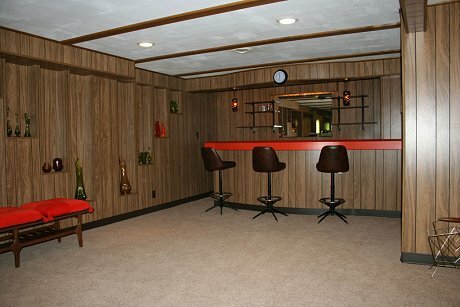 Last up is our basement 1960’s paneled family room. We are starting to furnish and accessorize this room now in all oranges and greens. Need to find some orange barstools! Great site, it’s our favorite… keep up the good work! 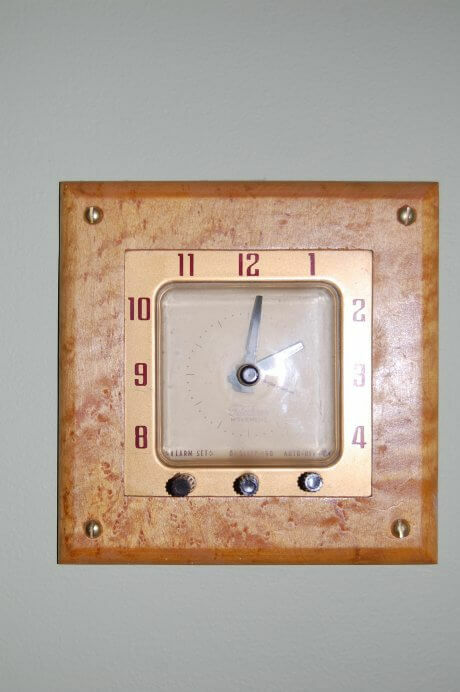 I’m currently remodeling a 1958 Mid century home in Ormond Beach FL. 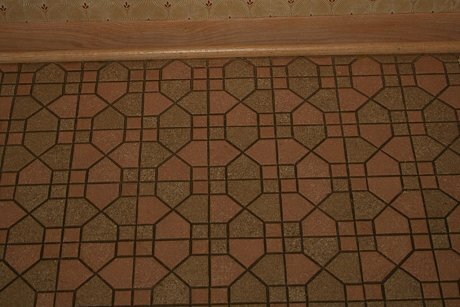 One of my outstanding original features of the home is the terra cotta tile on the front and back porch and a breezeway area. 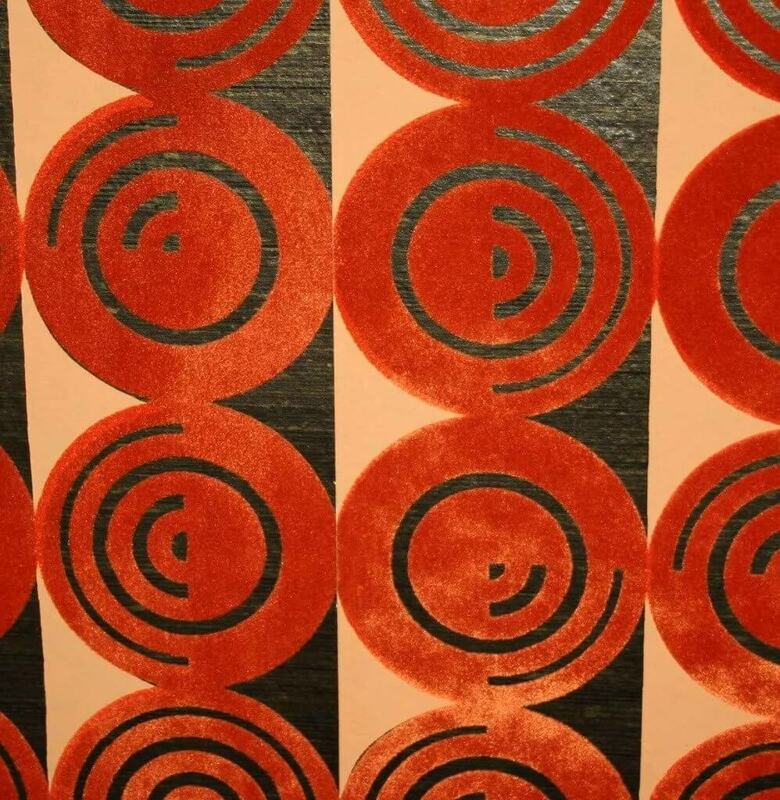 I have not been able to find the pattern anywhere until I read your article. 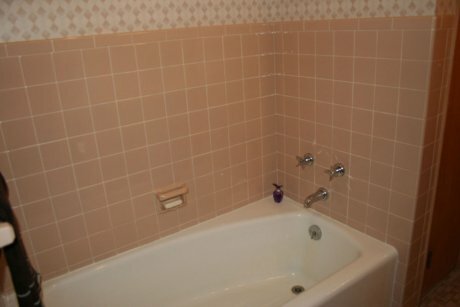 I would like to find where the tile comes from so I can find some replacement tiles to fix a few broken areas. Hi Randi, this story is quite old – written in 2010. 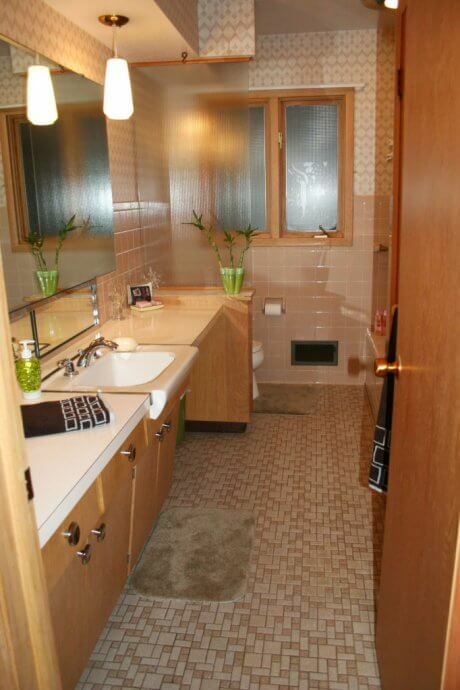 Also, just looking at it…all the tile I see there looks vintage. 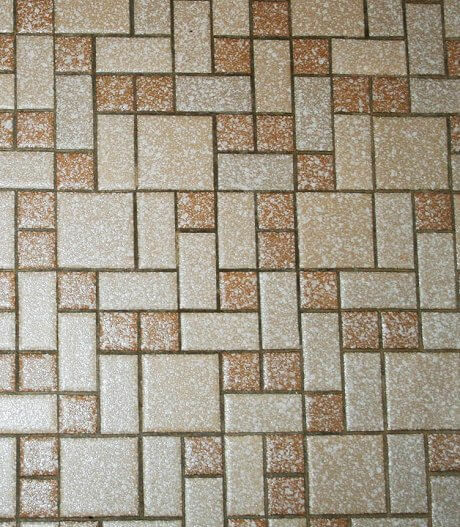 For all our tile research see our Bathroom Help/Tile help and ideas subcategory. I’d love to see a follow-up on this story! 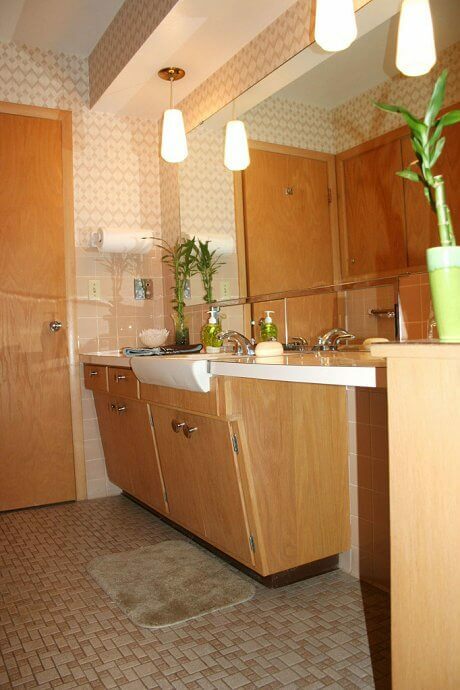 I have four of those exact bathroom sinks in my 1964 colonial ranch house in Houston, Texas. 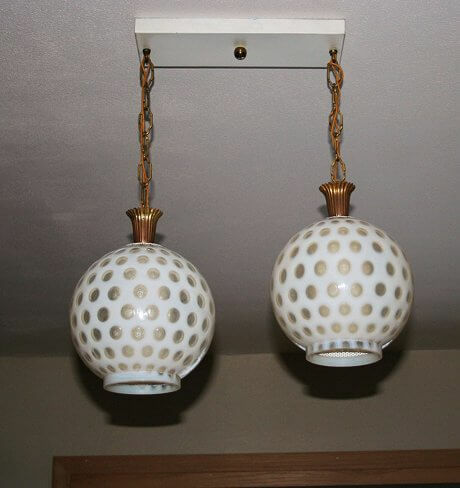 I really love them, and am hoping I can re-use at least two of them in an upcoming remodel of both bathrooms.